We’d love your help. Let us know what’s wrong with this preview of Kadri. 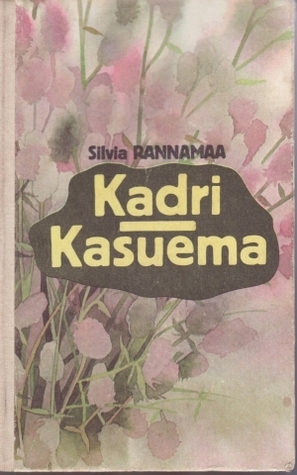 Kasuema by Silvia Rannamaa. To ask other readers questions about Kadri. Kasuema, please sign up. First time I was reading this book when I was 11, seceond time when I was 18. I love this book. It's lovely story. Minu esimene "korralik" raamat. Vaga mojus! Kusjuures mulle meeldis "Kasuema" väga oluliselt rohkem. Kadrile oleksin andnud kaks tärni ja seda ka pika hambaga. Silvia Rannamaa (3 March 1918 - 19 April 2007) is an Estonian writer, the author of internationally known children's stories "Kadri" (1959) and "Stepmother" (1963). She was born in Tallinn, of Finnish and Estonian parents. She obtained her secondary education at Tallinn Girls' Commercial High School. Between 1943 - 1944, she studied at the University of Tartu, Faculty of Philosophy. Silvia's husban Silvia Rannamaa (3 March 1918 - 19 April 2007) is an Estonian writer, the author of internationally known children's stories "Kadri" (1959) and "Stepmother" (1963). She was born in Tallinn, of Finnish and Estonian parents. She obtained her secondary education at Tallinn Girls' Commercial High School. Between 1943 - 1944, she studied at the University of Tartu, Faculty of Philosophy. Silvia's husband was an Estonian writer Harald Suislepp.